Other communities bordering the Mon River include:Dunlevy, Speers and Elco, Stockdale and Roscoe which are small communities along State Route 88. These towns have been asked to participate in the Mon River Towns Program and representatives have been invited to Mon River Valley Coalition meetings. Speers has an active and popular restaurant, the Back Porch as well as other riverfront retail. 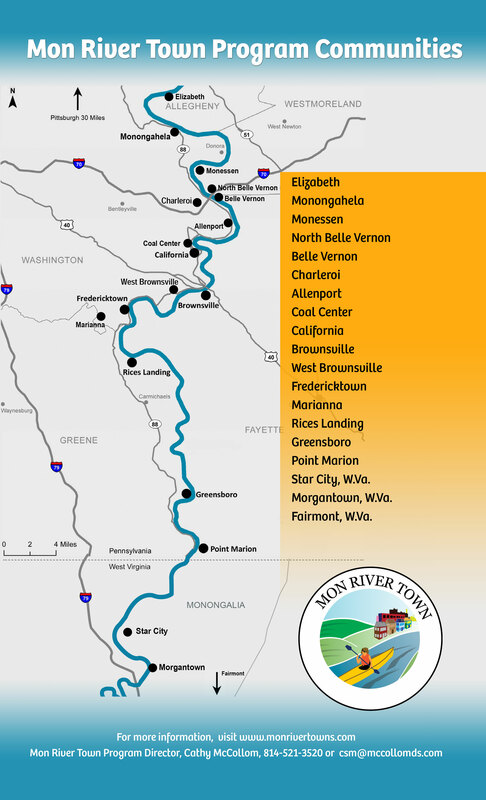 Click here to download a map of the Mon River Towns.